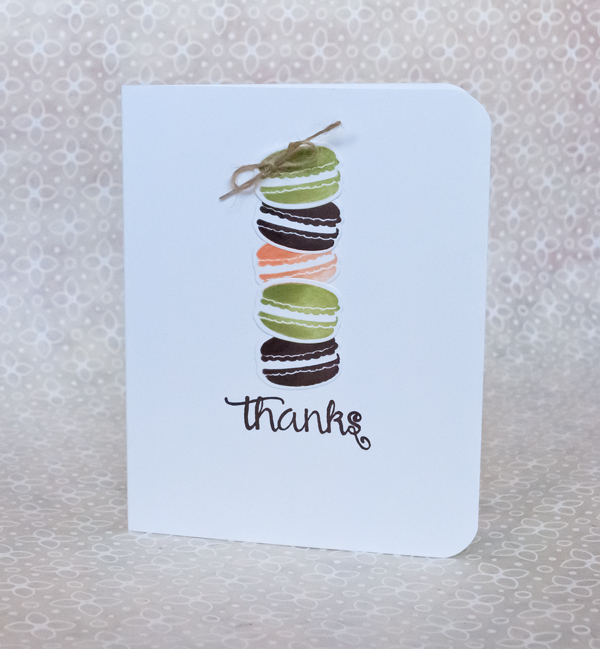 Yes, I see the irony in posting a card with these sweet macarons given my last post on how toxic sugar is to my well being. 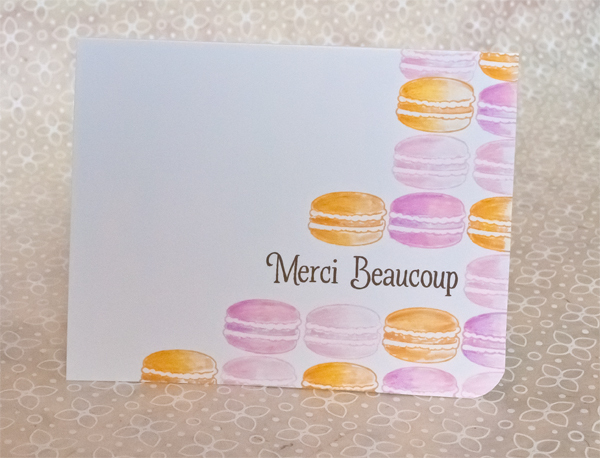 But I intend to pair the card with a gift of yummy pastel macarons (courtesy of our local bakery) and give the card and the cookies away. Stamped the sentiment first and then repeatedly stamped the outline image in pink, purple and orange. Colored with a combo of colored pencils and Copic markers. Used the die to cut out a few macarons. Twine attached with a tiny stapler. Awesome! Love how you colored the top card, and the bit of twine on the second really makes it perfect!!! Love the cards!Love having you back! I was roaming around the Splitcoast forum and came across a comment by you that had a blog link. I blinked. Really?? She's Back??? How cool!!!! Had to start at the beginning and find out what has been going on. Was going to to wait to comment until I got to your newest entry. BUT, when I clicked on the Mood When Done word on this one I cracked up! I have so missed you and your style. No one writes a blog quite like you do.